1-Cousins are out there! I come from a “small” family, but other generations weren’t as small as my own. I’ve “found” and met so many cousins as a result of blogging here. Second, third, fourth…even sixth cousins! Cousins from each of my grandparents’ lines, from all over the United States and all over the world. I’ve gotten the opportunity to meet several of my newfound family face to face, and I’ve gotten to know the rest online. 2-Writing is a solo endeavour, but it’s infinitely more fun as part of a blogging community. I began blogging after stumbling upon several other really great genealogy blogs. I didn’t know these people, and we had never met. Yet when I began my own blog, I was welcomed into a community of fellow genea-bloggers. While it began as a virtual community, I’ve been able to meet many at genealogy conferences and become “live” friends. Their humor, talent, and comeraderie means a lot to me! 4-Yes, Virginia, other people do actually read your blog. Even the most modest blogger has to get excited to see comments on their blog. People are reading what I wrote! The most gratifying lesson wasn’t necessarily that others were reading what I wrote, but that they were actually helped by what I wrote. I was occasionally able to introduce readers to new resources, and I enjoyed hearing about their success stories via comments. 5-Ask, and you shall receive. Blogging is a great forum for finding solutions to your genealogical problems. I received help and advice from readers! From photo restoration to photo facial comparison to record look-ups or suggestions, I’ve gotten a lot of tips and pointers along the way. 6-Telling their stories matters. Through this forum, I was able to tell stories – stories about my direct and collateral ancestors, and even my own story at times. In telling their stories, they are not forgotten. 7-Blogging is a great motivation to get organized. It actually forced me to organize my research so that I could turn the facts and figures into a story or add graphics and photos. 9-Blogging helped me improve my writing. Well, it helped me practice my writing on a regular basis at least in the blog’s early years. And practicing anything will always make you better and more comfortable. 10-Through this blog, I was able to flex my creative muscles. I need creativity in my life. While writing about genealogy doesn’t seem all that creative since it’s mostly facts and figures, the creativity came through in trying to tell the stories or come up with a story to fit a theme. From the Carnival of Genealogy (I really miss it!) to 52 Ancestors (incomplete, but fun) to the A-Z Family History Challenge, my writing muscles got a creative workout and I loved the challenge! I also got to share my humor in many ways, and I was happy to learn I can actually make others laugh with my writing. Thanks for reading and journeying along with me over the last decade. What does the future hold? Well, after all, what’s past is prologue! The biggest change I’ve made in ten years (other than not posting on a regular basis) is that — finally, after ten years — I changed the design and layout last night. I’m still getting used to the new look, but it’s time for a change. Here’s to the next ten – or more! Sto lat! In my first year of blogging, on New Year’s Eve I took my first look back at the year 2008. Tonight is my tenth look in the review mirror at my own year. I have come to enjoy this tradition. I sometimes dread the thought of summing up an entire year’s worth of experiences in about a thousand words, yet I relish the process I use to really review what I experienced and what I learned. Both the good and bad all gets mixed up into one unique recipe that is that year and no other. One year ago, I was ardently, anxiously, and desperately waiting for 2017 to begin. I needed something new after the difficulties of 2016, and I hoped I’d find it. Oddly, I found something new in the same old – the same job, family, friends, and hobbies that I always had. I discovered the freedom of acceptance and enjoyed (mostly) everything about the year I “turned” 50. 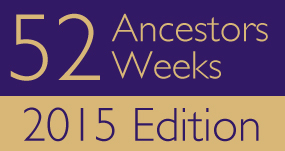 As this is a genealogy blog, I always begin with reviewing my genealogical finds. Surprisingly, there’s no end to discoveries even after all these years. This year I traveled back to Poland and visited thirteen different ancestral towns. They ranged from small villages to large cities, from wielkopolska (Greater Poland) to mazowieckie (Mazovia). In most of these places, the only thing remaining from my ancestors’ days was the parish church, but I enjoyed the experience of just being there. When I first visited Auschwitz in 2001, I had no idea that one of my cousins died there. This time, I proudly told his story to my fellow pilgrims and was shocked when I realized that I’d be there on the 75th anniversary of his death. One of my big genealogical mysteries was solved rather easily. I was never able to find the birth record of my great-great grandfather, Wawrzyniec (Lawrence) Zawodny. Despite the evidence that had been right in front of me for years, it took the help of another to discover that I couldn’t find it because it didn’t exist – Zawodny was his stepfather’s surname and Wawrzyniec’s birth record is under his actual surname, Ratajczyk. My blogging lagged once again except for an unusual flurry of posts in August, but despite another “break” I’m happy with the posts I did write this year. I am still finding new cousins from my Czech-Polish line all over the world! Offline, I organized the information on one grandparent’s line, and I sorted through DNA matches to discover new cousins. Not my birthday cake, but Pope St. John Paul II’s favorite cake, kremowka, in his hometown of Wadowice, Poland. I feel fortunate that I got to do a few things and visit a few places for the very first time. On my trip to Poland, I had been to several of the sites on a prior trip. But I was able to visit the beautiful towns of Gdańsk and Zakopane for the first time and dip my toes into the Baltic Sea. More importantly, I got to finally meet a long-time Polish friend in person, meet two Polish genealogists I’ve known a long time, and spend time in that beautiful country with two of my best friends. Another first time visit was to Williamsburg, Virginia, and some new experiences included seeing the Philadelphia Pops Orchestra and the Harlem Globetrotters (with my niece and nephews, of course, but I have wanted to see them since I was 12 years old!). It was a good year for entertainment with plays (sadly, only one Shakespeare), musicals (Finding Neverland was my favorite), and concerts. My favorite movies that I watched at home were Hidden Figures and Lincoln. In the movie theater, I was surprised by how much I enjoyed Wonder Woman, was not at all surprised that I was once again enthralled by Kenneth Branagh, and very surprised by how disappointed I was by The Last Jedi. On television, the usual occurrence – a favorite show got cancelled – followed by an absolute first a few days later – it was uncancelled! Timeless lives on! Sadly, my new favorite Will did not survive, but I loved its energy, actors, character development, pro-Catholic angle, and inclusion of Robert Southwell as a character. Of the more than 70 books I read, three stuck out that are the types of novels I usually like to read: Last Year by Robert Charles Wilson, Lost Book of the Grail by Charlie Lovett, and Lisette’s List by Susan Vreeland. But I picked up some random selections at the library – things I may have normally overlooked, and they turned out to be memorable because of the characters or the story: The Reminders by Val Emmich, Be Frank with Me by Julia Clairborne Johnson, and The Ferryman Institute by Colin Gigl. The book that most impressed me this year was non-fiction: A Pope and a President by Paul Kengor. For music I mostly listened to old favorites, but some of those old favorites had new recordings. Dan Wilson’s Re-Covered and Kelly Clarkson’s Meaning of Life were great albums, while Hanson’s “I Was Born” and Ed Sheeran’s “Perfect” (and the Piano Guys’ cover of it) stuck in my head. In the recipe that became 2017, I subtracted a misguided hope that caused me pain and added more of the interaction and activities that make me feel fully alive. I discovered what worked for me this year (acceptance, a positive attitude, more prayer, and making time for fun or inspiring things) and what needs more work next year (not enough time with people I love and definitely not enough exercise). I love the juxtapositions and the paradoxes and the serendipities that every year brings. It’s always the same old, yet always new. I embraced everything that 2017 offered, or at least tried to. I lived the big, shiny events and lived the dull, daily routine. I planned and hosted a conference for 700 people, yet couldn’t figure out what to make for dinner on most nights. I re-connected with an old friend and made a few new ones while trying to forget about the friendships that faded away. I thought there was room for something in my life that I thought I needed. There wasn’t. There isn’t. Only when it was gone did I discover that sometimes you already have enough. Who I am is, strangely, enough. And that’s all that matters. May 2018 bring you peace, joy, and love! When I last wrote in this series (a mere two and a half years ago), I was halfway through a pile of postcards that I titled “Ferdinand’s German Road Trip.” [See the link at the end to view past posts.] In this series, Ferdinand Müller, a German-born naturalized U.S. citizen living in Philadelphia, has returned to Germany in 1912 for a visit. Along the way, he writes to his friends back home, Max and Laura Thumann (my great-aunt). 101 years later, Laura’s album of postcards found its way to me. Viewing them is like taking a trip back in time! Back: He may be at the zoo, but he has nothing to say about it! In these notes to his friends, Ferdinand has continually been grateful for their communication to him while he was away (what I wouldn’t give to have the other half of the conversation!). He also writes frequently of traveling by car, which in 1912 would have been quite the luxurious novelty. Again he references a mutual friend by the nickname “Schworg” and keeps them updated on his next travel spot. What he fails to say, however, is anything about his trip to the zoo in Frankfurt which is pictured on the postcard! The card depicts the Schützen-Brunnen, a fountain at the zoo that was erected in 1894 by sculptor Rudolf Eckhardt. It stood nearly 46 feet high and was a symbol for the still-young German empire under Kaiser Wilhelm. The statue/fountain was inaugurated on August 24, 1894 in memory of the Bundesschießen, a sports shooting competition, which was held in Frankfurt in 1862 and 1887. But, as we have discovered in our own country, even large statues do not withstand time. In this case, it wasn’t politics that toppled the massive monument, but economic-political reasons. It was destroyed due to “Metallspende des deutschen Volkes” – “Metal Donation by the German People” – which took place during both wars. Amazingly, it survived World War 1 unscathed. But in 1940, the reich needed more metal for weapons. Statues, church bells, and anything made of metal (trophies, flagpoles, lids on beer steins) was donated to be melted down. And it it wasn’t donated, it was a capital offense! And so, the city of Frankfurt lost the Schützen-Brunnen. It makes me wish that Ferdinand had more to say about it. Or the zoo itself, which was founded in 1858 and is the second oldest zoo in Germany (after Berlin’s). Today, 21 August 2017, much of the United States will be in the path for viewing a solar eclipse. I wondered if the event would be scary for young children that don’t yet understand the scientific concept of what is happening. Then again, even when you do understand it, seeing the sun blotted out is still a little unsettling. I looked to see if there was a similar eclipse that my ancestors may have witnessed, and there was. On August 19, 1887 a total solar eclipse was visible in Europe, Asia, and the Arctic. The path of totality stretched over Germany and Poland (and all the way to Japan). It occurred very early in the morning, just after sunrise. Where were my ancestors on this date? My Bavarian great-grandparents were teenagers at the time. Josef Bergmeister was 14 years old and living in Regensburg with his family including a sister (17), brother (11), and two half-brothers who were just toddlers (1 and 2). Miles away in Pfaffenhofen an der Ilm, Josef’s future wife, Maria Echerer, was 12 years old and had several younger brothers and sisters. I can imagine that at that age it would have been a very exciting event. I’m not sure what the weather was like in their hometowns that day, but in Berlin, north of where they lived, it was reported that its 1.3 million residents were disappointed due to severe cloudy weather. Elsewhere in Poland, my great-grandfather Józef Zawodny and his future wife, Wacława Ślesiński, were only 7 years old and both living in the area near Wilczyn. My final set of great-grandparents, Ludwik Pater and Elżbieta Miller, were not yet born! But, their parents were living in Żyrardów near Warsaw. Antonina Pater, my great-great grandmother, was about 7.5 months pregnant at the time with her daughter, Franciszka. The Miller’s already had three children under the age of six. Given the bad “reviews” of the eclipse due to weather, they may not have seen anything at all. One of Poland’s literary greats, Bolesław Prus, witnessed the eclipse and wrote about it for a newspaper. But he also incorporated it into one of his famous novels, Faraon (Pharaoh), written in 1895. In the climactic scene of the novel, Pharoah’s nemesis uses his knowledge of the coming eclipse to pretend that he has actual power over the sun (Mark Twain would steal Prus’ idea in A Connecticut Yankee in King Arthur’s Court!). I had to laugh at the fact that weather ruined the eclipse in 1887. Living in Philadelphia, nearly every time we’re scheduled to witness a solar or lunar eclipse, or an event like a comet or meteor shower, we tend to have bad weather (not so for today’s forecast). So I sympathize with the Europeans of 1887! Meaning/Origin – The Eichingre surname is not specifically listed in the Dictionary of German Names, Second Edition by Hans Bahlow, which is the reference book I usually use for my German surnames. However, other surnames with the prefix “Eich” (such as Eicher, Eichler, Eichner, Eichmann) all come from the German word eiche, which means “oak” and indicate a dwelling place under the oaks. Countries of Origin – The surname Eichinger is German. According to the World Names Profiler, the countries with the highest frequency per million residents are Austria with 314 individuals per million, Germany with 61, and Hungary with 17. The next highest countries (and their respective frequency per million) are Luxembourg (8.5) and Switzerland (6.3). Spelling Variations – Variations include AICHINGER, which was the earlier/older spelling of the name in my own family. Surname Maps – The following maps illustrate the frequency of the EICHINGER surname in Austria and Germany. Not surprisingly, the areas in Germany with the higher concentration is exactly where my family was located. Distribution of the EICHINGER surname in Austria. SOURCE: Surname Distribution Maps of Austria, http:// namenskarten.lima-city.at/en/ accessed August 16, 2017. SOURCE: Surname Mapping database, http://www.verwandt.de/karten/absolut/eichinger.html, accessed August 16, 2017. Famous Individuals with the Surname – Bernd Eichinger (1949-2011) was a German film producer. He was executive director of Constantin Film, one of the most successful German film companies. His best known American films were The Neverending Story, The Name of the Rose, and Fantastic Four. Nina Eichinger (born 1981, Munich) is Bernd Eichinger’s daughter and an actress in Germany. Martin Eichinger (born 1949) is an American sculptor. Under the alternate (and older) spelling of the name, Gregor Aichinger (c. 1565 – 21 January 1628) was a German composer and organist to the Fugger family of Augsburg in 1584. My Family – My EICHINGINGER family comes from Bavaria. First from Oberbayern, or Upper Bavaria, but prior to that from the area just to the northwest, Niederbayern, or Lower Bavaria. It is interesting that in the earliest instances of the name in my family, they lived in the “Wald” region of Lower Bavaria, which is called Bayerischer Wald or the Bavarian Forest. That fact makes me wonder if the family’s name did indeed derive from the fact that they lived near the oaks! My earliest ancestor with this name is Michael Aichinger who is named in the marriage record of his son, Egidi Aichinger, which took place in 1640 in Kirchberg im Wald. Each successive generation lived in a different town in that region including Grünbach and Hintberg. In the late 1700s/early 1800s – just when the spelling of the surname changed in records to EICHINGER, my line moved to Upper Bavaria in the area around Dachau including the towns of Oberweilbach, Deggendorf, Asbach, and Prittlbach. My line of descent is as follows: Michael Aichinger > Egidi Aichinger > Andreas Aichinger (c. 1641-1711) > Johann Aichinger (1688-1749) > Josef Aichinger (c.1720-1789) > Josef Eichinger (1754-1817) > Georg Eichinger (1793-1855) > Ursula Eichinger Dallmayr (1820-?) > Ursula Dallmayr Bergmeister Götz (1846-1911) > Josef Bergmeister (1873-1927) > Margaret Bergmeister Pointkouski (1913-1998) > my father > me. My Research Challenges – My challenge in researching this name was that I mis-translated the maiden name of my ancestor Ursula Dallmayr in her marriage record. For years I searched for the Eulinger family from Aichach instead of the Eichinger family from Asbach. It is so much easier to research using the correct name and location! This post is #13 of an ongoing series about my family’s surnames. To see all posts in the series, click here. Happy 9th Blogiversary to What’s Past is Prologue! That sounds like a long time in blogging years (is that like dog-years?). But as I thought about writing a post to mark the occasion, it occurred to me that nine is rarely celebrated. Does anyone care when you have a birthday or anniversary at 9, or 29, or 49? And have you ever seen a “Top Nine” list? No, me neither. But, then again, there are nine muses in Greek mythology (I suppose Clio, muse of history, can be considered the muse of genealogy). Then there are the “Nine Worthies” from the Middle Ages. Being on “cloud nine” is a good thing, as is being “dressed to the nines”. Like a cat, this blog seems to have “nine lives” and I hope to go “the whole nine yards” with my research! In nine years, I’ve had just over 349,000 visitors here. My most popular post continues to be Finding Polish Records Online (written in January 2011) with over 32,000 views. Overall, the most popular topics are about Polish or Philadelphia records and resources. These hits far outweigh the stats on posts strictly about my own ancestors, but even some of those, particularly the several “Surname Saturday” posts, are popular. There are a few personal favorites that I wish got more attention, so I might have to highlight those in the days ahead. Even though the last few years have been sporadic with posts here, I’m still happy to have this outlet as a place to offer information, celebrate my ancestors, and connect with not only cousins, but fellow researchers and bloggers. I cherish the many friendships I’ve made with other bloggers over the years! Although I haven’t come anywhere near the production of my first two years (almost 250 posts out of 468 total), there’s still more to say. Napoleon’s friend – someone with a similar name to my own had a connection to Napoleon – and accounts of it can’t seem to spell his name correctly either! Thanks for joining me on the journey! Happy New Year! Each year, no matter how much or how little I’ve written on this blog, I always post a “look back” at the year – mostly just for me. Every year has its good times and bad, but this year the bad stuff was so pervasive that it was hard to remember all the things that made me smile. So let’s get the “bad” out of the way up front to focus on the brighter spots (note: these bad events all happened in the second half of the year). First, I lost my father. That alone is enough pain for one year. But shortly thereafter, although not through death, I lost the person I considered to be my best friend, the person I could always rely on for a positivity, comfort, and support. Then, I lost my best chance at a promotion for a position I’ve worked towards for a long time. Add to those losses four trips to the hospital with my mother (resulting in two stays), the dissolution of a what I thought was a good friendship in work, and a persistent three-month cold; I’m about ready to raise the white flag on 2016! But, stuff happens. Unfortunately, sometimes it happens all in one year, but at least I learned that if you try hard enough you can find something to be grateful for. And I did. Since this is a genealogy blog, I always like to look first at my genealogical finds for the year. I obviously did not write much here, and I also didn’t have much time for research. But, there’s always a mystery that gets solved. Early in the year I heard from a cousin that lives in Warsaw and made good strides on that family line (Kizeweter). I met my mother’s first cousin while attending the NGS conference in May, and my mother and I had dinner with two of her second cousins – that she had never met – for her 81st birthday. A kind genealogy friend looked up a record for me, and now I know the names of another set of 4th great-grandparents on my Maryański line. Finally, I delved a lot deeper into the gene pool with DNA tests on my father, whose sample I gathered eight days before his death, as well as my mother, my paternal aunt, and one of my mother’s first cousins. I’m having fun researching those new connections. I also discovered some coincidental connections among my cousins and relatives of my friends! Other personal positives for me this year include drastically reducing my sugar intake, continuing to meditate and write daily, and overcoming some health issues that plagued me early in the year. I did not have an opportunity to travel much, or at least not too far or for too long. But, I enjoyed a couple of days in Washington DC seeing beautiful art, in Miami-Ft. Lauderdale FL with old and new friends, and letting the ocean restore some of my serenity in Rehoboth Beach, DE. I traveled for work to Colorado Springs and found some free time to explore – finally remembering how much I love to hike. I didn’t attend many concerts, but the two I did go to were for groups that I’ve listened to for many years: Sister Hazel and the Gin Blossoms. I enjoyed new albums from Sister Hazel and Matt Nathanson, discovered a rather old release from Sara Bareilles, and was charmed by Paul Loren’s crooning. My reading stalled over the difficult summer, so I only averaged around a book a week this year. My absolute favorites were: Andy Weir’s The Martian, Chris Pavone’s The Travelers, Christopher Buckley’s The Relic Master, Iain Pears’ Arcadia, Jean Hegland’s Still Time, and Catherine Banner’s The House at the Edge of Night. I’m grateful for my father; I was blessed with a good and just man for a father. He had a big heart and a wonderful sense of humor. I’m also grateful for a few good friends that stuck with me through fortune’s slings and arrows; I will cherish you always and never forget your kindness. After much thought, I decided that the best thing that happened to me this year was reading a 700-year-old 14,000-line poem. After falling in love with Dante’s Divine Comedy in college, I finally got around to reading the whole work (it only took a mere 29 years). I firmly believe that spending time journeying through Inferno, Purgatorio, and Paradiso in the first half of the year made the hardships of the second half easier to bear. This year I feel as though I’ve slogged through the filthy darkness, suffered through the painful realization of my own weaknesses, and seen a glimpse of the glory that awaits – both with the poet on the page and in my own reality. The poet Dante knew what it was like to feel lost and alone in a dark wood, facing down ugly beasts, and lacking the strength to make it up the mountain. He had Virgil to guide him and teach him about his errors, and I had Dante to do the same for me. Dante (both the poet and the pilgrim) knew about pain, loss, and exile; he also learned how to rise above it. I’m forever grateful to have his words as I continue my journey as a party of my own. As a genealogist, naturally one of my favorite parts of the Comedy was when Dante meets his own great-great-grandfather in Paradise. As Dante tells him “You are my father…You so uplift me, I am more than I” – I couldn’t help but think of my own father and how he made me who I am. Tonight I truly celebrate the arrival of a new hope, a new opportunity, a new year. I plan to write more for this blog next year, because there’s a lot more to say about my ancestors. Thanks for sharing the journey with me, and may you have a wonderful year of creativity, celebration, and love. Six months ago today, my father died. I didn’t expect it to happen — eventually, of course, but not eight days after I wished him a happy Father’s Day. In addition to the magnitude of the loss, in the days that followed I experienced an overwhelming sense of gratitude for not only his life and his role as my father, but also for his ancestry. My father never knew his grandparents; two were dead years before his birth, one died when he was 3 years old, and he had only a vague memory of his Polish grandfather who died when my father was six years old. But my father loved his parents and his aunts and uncles and the stories they all told about his Polish and German roots. From their names, I pieced together a much larger story — a history of their ancestral origins and the places from which they came. Dad loved hearing about my discoveries and was continually surprised by what I discovered about his family. After Dad’s death, I thought about all of those ancestors and felt profound gratitude for being the custodian of their memory. My father’s ancestors made him the person he was, and, in turn, made me. I am grateful to all of them as I am grateful to him. On my last visit to my father (who, due to Parkinson’s Disease, lived in a nursing home for the last three years), I actually swabbed his cheek for a DNA sample. I had the kit for about six weeks before I finally took it over to him. As this was the last time I saw him, it was rather providential, a last (and lasting) gift. Over the last nine years I’ve written here about my genealogical adventures, I’ve posted many tributes to my ancestors. I’ve written about Dad’s parents, his grandparents, and several ancestors much farther back. But it has taken me six months to finally write this particular ancestral tribute. I wish that all of my friends and readers could have known my father, and there is no doubt he would have made every one of you laugh out loud. But since that wasn’t possible, I’d like to introduce you to him via this too-short biography so that you will know a little bit about him. Unfortunately, I can’t seem to adequately convey in words just how much of an honor and a blessing it was to have called him “Dad”. James Albert (“Jim”) Pointkouski was born on August 3, 1934, the first child of James and Margaret (Bergmeister) Pointkouski. His parents were both first generation Americans born in Philadelphia, PA. His father, James, was the son of Polish immigrants, while his mother, Margaret, was the daughter of German immigrants. James, or “Jimmy” as he was then called, was baptized on September 2, 1934 at St. Peter’s Church at 5th & Girard in Philadelphia. The parish would remain important to his family for years to come. Jimmy attended St. Peter’s grade school, served as an altar boy, and also received the sacraments of First Communion and Confirmation. Jimmy’s only sibling was a sister, Jean, born in 1942. Their father worked as a truck driver to support the family while their mother maintained the household. Jim attended Roman Catholic High School and graduated in 1952. As a teenager and young man, he loved attending neighborhood dances. One night, March 13, 1955, Jim attended a Sunday night dance at St. Boniface’s church — he had never been to that particular dance. Just over one year later he would marry the girl he met that night, Anita Pater. They were married at Resurrection of Our Lord parish on April 7, 1956. Jim served in the U.S. Navy Reserves after high school, and in 1958 he was called upon for two years of active duty. He served aboard the U.S.S. Cadmus as the ship’s storekeeper. Although he didn’t enjoy it much at the time, his Navy experience and memories stayed with him for the rest of his life. He had fond memories of a Mediterranean cruise during which he visited Rome and Barcelona. Jim was very proud to have served in the Navy. In 1958, Jim and Anita had their first child, a daughter who was stillborn. Their son, James Drew, was born in 1959. The family was completed with the birth of their daughter, Donna, in 1967. Jim and Anita’s first home was in the Mayfair section of Philadelphia, but in 1960 they moved to the “Far Northeast” section of the city. After various jobs such as time-clock repairman (one of his personal favorites), blueprint machine operator, and a “customer engineer” for IBM, Jim became an accountant. In 1968 he started working at Wenczel Tile Company in Trenton, NJ. While working full-time at Wenczel and part-time at a gas station, Jim began attending Rider College at night. After fifteen consecutive semesters, he proudly obtained his B.S. in Commerce and Business Administration in 1975. Jim worked at Wenczel for twenty-five years until the company went out of business in 1993. Afterwards, he worked as an accountant at other companies and was also the business manager of a Catholic parish in South Philadelphia for a few years before retiring. Although Jim was an accountant, he learned a lot about tile while working at the tile factory. As a “hobby” he began to remodel bathrooms and kitchens with new tile. He often helped friends in exchange for their remodeling talents. In the 1970’s, Jim and Anita became active in “show business” at Archbishop Ryan High School (for Boys). The school’s “Mother’s Association” used to put on a show every year, and many of the dads joined in as well. Both performed in dance numbers, but then Jim branched out with his best friend, Frank, into comedy routines. The pair eventually became the comedy directors of the show. One year they performed as Elton John (Jim) and Kiki Dee (Frank) performing “Don’t Go Breaking My Heart”. They were also the Tin Man and Scarecrow in a “Wizard of Oz” skit, and the “Tinettes” — backup dancers for an Ike and Tina Turner rendition of “Proud Mary”. Jim and Frank’s final performance in the shows occurred in 1977, and it was their piece de resistance. The two performed technically correct dance steps in women’s ballerina costumes to “The Nutcracker Suite” without so much as cracking a smile. It was a huge success! Jim was very active in his parish, Our Lady of Calvary. Over the years he served as an usher, a lector, and a Eucharistic Minister. He was among the first class (along with his friend Frank) to complete a ministry training program at St. Charles Seminary. Both men wanted to become permanent deacons, but at the time the parish didn’t have a need for any. Jim and Anita also sang in the choir for many years. Jim became a grandfather for the first time in 1995 with the birth of his granddaughter, Natalie. More grandchildren followed: Ava in 2005, Nicholas in 2007, and Luke in 2009. In September, 2013, Jim moved into Wesley Enhanced Living retirement home. He kept his nurses and caretakers entertained right up until his death. He passed away on June 27, 2016. At Jim’s funeral, many friends gathered to honor his life. Jim would have been delighted to see four priest friends concelebrate his funeral Mass! Jim was known in many different roles. He was a faithful Catholic, a proud veteran. He was a loving husband for sixty years and a dedicated father and grandfather. He was an entertainer who loved bringing joy to others by making them laugh. Sometimes while researching a particular family I will become distracted by another find that is so interesting or humorous that I can’t help but follow that trail just to find out how the story ends. Such was the case with “Chicken Charley”. I was researching a friend’s family. Much to his surprise, I discovered that his Rodda ancestors had been to California for the gold rush, and his 3rd great-grandfather died there. This was a surprise because he wasn’t aware of that fact, nor that his 2nd great-grandparents had immigrated to California for several years, but then returned to Cornwall, England to have a family and spend the rest of their lives there. It was that couple’s son who is my friend’s great-grandfather; he was born in Cornwall and immigrated to Pennsylvania as a young man. While researching the Rodda family in California during the gold rush days, I discovered a wonderful resource for people with California ancestors – the California Digital Newspaper Collection. There I struck gold with a wildly humorous story about another Rodda – Charles “Chicken Charley” Rodda. How could a researcher not be distracted by this story? An Aged Chicken-Thief’s Idea of Defense. “Call the case of Charles Roder, charged with petit larceny,” was Police Judge Buckley’s first utterance upon taking his seat yesterday. “Here I be,” said a wild-eyed, shockheaded old man jumping up from the prisoner’s dock. Clerk Larkin informed Roder that he was accused of stealing chickens, and asked him if he was guily or not guilty. “That’ll do now; sit down,” admonished Baliff Rowland, motioning to the witness. “Shut up and sit down!” This was from Judge Buckley, and Roder only needed to glance at his Honor before concluding that it would be a good idea to sit down. But his tongue never ceased. He denounced the police force and everybody in general, and kept up a constant jabber all through his trial. Police officer Crump testified to having caught Roder in the vicinity of Fifteenth and K streets, early in the morning, with two sacks full of chickens, which he could not explain how he came into the posession of. Officers Carroll and Farrell both stated that Roder had admitted in their presence of having stolen the chickens. Roder denied all of this, of course, and never ceased in his denunciations. “Where did you get those chickens, Roder?” asked City Attorney Church. “I got ‘em honestly,” replied Roder, doggedly. “Well, that’s my business, and not yours,” was the reply. This “news” reporting conjures up quite an image of what the town and townspeople were like in 1889. But it must have been a slow news day for the story of the infamous chicken thief to get such press! As a side note, the spelling of Charles’ name is “Roder” while it was “Rodda” just days before – and it will show up in other editions of the paper in other forms. I had to laugh picturing the chickens at the police station getting in the way. While this chicken thief named Charley isn’t identified by a surname, it became clear that it was the same man by looking at entries for the next few days (although they still keep varying the spelling of the surname). Rhodda Acquitted. The Veteran Chicken-Parloiner is at Liberty Again. Charles Rhodda, a tottering old man of seventy years, who has a mania for stealing chickens, and who has in consequence become familiar with the interior of various prisons, was tried before Superior Judge Van Fleet and a jury, yesterday, on another charge of chicken larceny. He was arrested something like six months ago, and not being in affluent circumstances, has had to remain in jail until his trial was called. But, he’s back to his old ways soon thereafter. On 12 March 1891 it was reported that Charles Rodda, alias “Chicken Charley,” was charged with vagrancy. He pled not guilty and “demanded” a jury trial. The article said his case was set for Friday[ix], but I was unable to find any reference to it in the newspapers that week. Grass Valley is about 60 miles northeast of Sacramento. Is this the same Chicken Charley? Maybe, because he’s talented enough a thief to steal much in a short amount of time. But maybe not, because Sacramento’s Chicken Charley always pled not guilty! Oddly enough, Grass Valley is where my friend’s Rodda relatives lived. But I haven’t yet found any connection to his family. Charley was portrayed as such a colorful character in these newspaper articles that I would love to learn more about his life and ultimate fate. Unfortunately, I wasn’t able to dig up any information on a Charles Rodda in California that definitively connects to Chicken Charley. But, I’m glad to have discovered this character who distracted me from my more serious research pursuits. The writing in these newspapers was so entertaining that I began to search for other articles with the “characters” of officer Crump and Judge Buckley. I wish I had ancestors in Sacramento! Thanks, Chicken Charley, I hope you either mended your ways or continued to evade conviction for the rest of your life. Nobody likes to admit to making a mistake. It makes us feel silly, and we worry that others will think we’re not very smart or don’t know what we’re doing. But admitting a mistake can often help others avoid making the same errors in the future. I agree. I’ve been researching my family’s history for almost (gulp) 30 years, and in that amount of time I’ve made more than a few mistakes. In fact, I had trouble choosing just one to highlight! But I’m going to return to my major “rookie mistake” – I’ve mentioned it at least two other times in this space over the years, but it’s a mistake I’ve seen others make so it bears repeating. Because once you learn the lesson, you won’t have that particular “Duh!” genealogy moment ever again! Very early in my research I discovered that my great-grandfather, Louis (Ludwik) Pater, arrived in the U.S. at the age of 14 with some siblings – his parents had arrived separately with other siblings in the two preceding years. I began my research with basic facts provided by my parents, and I had wrongly assumed that each set of great-grandparents were married in the country of their birth and came here already married. I didn’t expect that one great-grandparent was just a teenager, and I was surprised to learn that his parents had immigrated. I then began my search for his future wife, Elizabeth (Elżbieta) Miller. There was just one problem… pick a country and you will find dozens of women named Elizabeth Miller! Whether it was Ireland, England, Germany, Poland, Russia, Austria, Hungary, Slovakia, or anywhere else, there were women named Elizabeth Miller. I limited my search to Poland (or Russia, given that Poland was under Russian rule), but my mother said that Elizabeth always said she was Bohemian. Since my grandfather (her son) was born in 1912, I knew she immigrated before then, and “Bohemia” would have been part of the Austro-Hungarian Empire. Eventually I found a teenaged girl with my great-grandmother’s name on a passenger list and I made the worst mistake any genealogist, especially a beginner, can make – I assumed it was her! She was the right age (approximately) and went to the right place (with an uncle I never heard of) and was the right ethnicity (but from the wrong country). It made more sense at the time, but you can see how ridiculous it was to assume. I don’t remember why I jumped to that conclusion – even though I was a beginner genealogist, I was a college graduate who majored in English and wouldn’t have dared to jump to any conclusions with so little proof in any of my research papers! I started climbing up the wrong family tree, so to speak, by doing more research on this particular Elizabeth Miller. But it wasn’t leading me to any of the other facts I knew about her. Fortunately, I eventually started over at the beginning and re-searched the passenger lists. As I looked at the details of other appropriately aged young women named Elizabeth Miller, I found a curious thing – one that emigrated from the exact same town that my great-grandfather did. Huh, look at that…hmm, do you think? This time, I knew more about the Genealogical Proof Standard. This time, it was the correct person. This time, all of the details matched perfectly to facts found in other sources. This time, it was actually my great-grandmother. So there you have it, kids, let this be a lesson – you can prevent having this same “Duh” moment by not jumping to conclusions! Do an exhaustive search. Then re-search. Resolve any conflicts. Make sure the facts match other sources. Do all of this before you declare victory and you won’t be left scratching your head for days like I did. When I found the actual record, approximately 8 years after my initial “find”, I kept repeating to myself – “They were from the same town!” Which helped explain why my great-grandparents got married only 16 months after she arrived from Poland! Eight years ago today I began this blog. Although there were some speed bumps along the way, I found everything I sought when I started this adventure — and much more. In my initial post, I wrote that I hoped this venue would help me to find cousins. I’ve found more cousins than I ever knew I had. We’ve emailed and we’ve met. We’ve shared meals and laughter and information about our shared ancestors. I’m so proud to call these former strangers not only family, but friends. I also hoped to find friends among the genea-blogging community. It is rare for a group to so readily accept newcomers with the grace and good nature that Geneabloggers do. We learn together and celebrate each other’s successes. We laugh together, and sometimes cry together, especially when we lose one of our own. But I’m honored to have met so many people, both online and in person, that I now call friends. Naturally, I wanted to find ancestors, too. I found a post from August, 2009, that details what I knew at the time about my sixteen great-great grandparents. How much more I now know – it’s time for a post update! Since then I’ve learned the names of the three who were “unknown” as well as their parents’ names. I filled in many of the missing birth and death dates and corrected an erroneous parent name or two. I discovered surprises, too – in 2009 I declared that two of them were the “only” of that generation to immigrate to the United States – I can now correct that number to three. But the best gift of all was discovering, through the assistance of newly found cousins, photographs of four of the great-greats! The greatest thing I discovered through blogging would be my readers. To the 307,608 folks that have visited in the last eight years – thank you so much for stopping by and especially for commenting! Over 24,000 of you wanted to learn about Finding Polish Records Online, and almost 14,000 wanted to learn about Philadelphia Marriage Indexes Online or just what the title of the blog means. I’m glad that those two posts that offer research tips were found to be useful by so many folks, but I’m actually delighted that nearly 4,000 (hopefully) laughed at my humorous look at Fotomat. What’s the future hold? Well…what’s past is prologue. I’ve been working on non-blogging projects, but I’m far from finished with my adventures in genealogy. I will continue to post about my ancestors’ stories, research tips, and interviews with experts. If all goes well, you may even see an e-book available by the end of the year. Thanks for coming along for the ride for the last eight years. Let’s keep going together! Here we go again – it’s time for my annual look in the rear view mirror before I step on the gas pedal to go full speed ahead towards new adventures! Before writing this, I reviewed my previous “Look Back” posts. In 2008, my first, I wrote: “I don’t keep a diary or a calendar, so looking back is usually a challenge and a memory exercise.” Fast forward seven years…I keep both a calendar and a daily journal, so suddenly looking back gave me a much more detailed view of the year. But it made it hard to see the forest through all of the trees and somehow made it much more difficult to write this year’s review. 2015 was a year of crazy weather – the photo on the left is the first day of spring and the one on the right is November! As I reflected on the year, the image that came to mind was a roller coaster because it was a year of emotional, physical, mental, and spiritual highs and lows, thrills and agonies. This was manifested in multiple ways throughout the year. I experienced fear as my parents each suffered with illnesses and I endured my own physical pains, then relief when health returned. I enjoyed spending fun times with “distant” friends and family (those living far away, last seen long ago, or never met in person), but I felt derailed in my attempts to connect with close friends and family living nearby. Successful work projects rejuvenated me, but then came long periods of ennui. I felt frustration in the first half of the year when I was not able to speak to my far-away friend, followed by joy and inspiration from our long, frequent chats in the year’s second half. I was proud that I achieved some of my goals for the year, but deflated that I made no progress at all on others. Even the weather was more contrary than usual and joined in on the symbolic roller coaster ride with snowfall on the first day of spring and a 74-degree Christmas Eve. But after the roller coaster ride, the lows showed me how to improve and the highs kept me smiling. And there were many things to smile about. The year started off with a bang as I jumped back into blogging regularly. I decided to accept the challenge of writing about “52 Ancestors” – one per week – and opted to ignite creativity by following the optional prompts. In addition, I started a series highlighting postcards from an immigrant’s trip back to Germany in 1912, and I was able to do a few other posts about ideas I had been toying with for a while. This all worked out beautifully – until May. I managed to write 38 posts in the first five months, and then one (other than this one) for the rest of the year. But, despite the “temporary” blogging pause (hopefully soon to end), I was able to tell a lot of good stories in the first half of the year. As a result of one of those stories, I found a new cousin! Nearly every year I write about new cousins that I discover or who find my blog, and I’m always amazed that there are more to find. This year it was Carol from Canada and she’s my first “trifecta” cousin: from our Czech immigrants to Poland, we are simultaneously 4th cousins (Miller surname), 6th cousins (Jirsak surname), and 7th cousins (Jelinek surname)! I also had luck in solving a big genealogical mystery – I received a document that provided the death date for my great-great grandfather Jan Miller as well as one that confirmed the birth dates of all of his children. Another great find was the 1831 marriage record of my 3rd great-grandparents, Gabriel Ostal and Rozalia Borzejewska, which revealed their parents’ names. My travels took me to visit “cousins” Scott and Teresa in South Carolina for a wonderful week of fun sights, relaxing moments, and great conversation. After twenty years of correspondence musing over our possible cousin connection, we finally met. And, despite the fact that we still can’t figure out if we’re related, we decided that we’re family. I also took a short but enjoyable trip with friends to Connecticut where we had a lot of fun sailing and visiting the Mystic Seaport and Aquarium. Locally, I enjoyed beautiful weather and a lot of laughter on two day trips to Island Beach State Park and spent a few nice days enjoying Philadelphia’s museums and sights. I rediscovered the importance of creativity in my life; I made art and I was inspired by art. I organized and hosted a conference for 400 people – that’s a new experience for me. For the first time in twenty-six years I saw a Broadway show (An American in Paris) – and ‘s wonderful! My other entertainment high was seeing two Shakespeare plays (The Winter’s Tale in Staunton, VA and The Taming of the Shrew in Philadelphia) as well as one about him (Equivocation). I saw more movies in the theater this year than I have in many years (only four, five if you count a special big screen showing of Charade!) but the one that I will remember the most is Star Wars Episode VII: The Force Awakens. What made it memorable was the fact that I saw it with the same best friend I saw Return of the Jedi with in 1983! I was surprised at how excited I was to see it, but the music, the myth, and the returning actors all made me feel like I was a kid again, and I loved every minute of it. Everyone who knows me knows I love to read, but even I was surprised that my tally for the year was over 80 books. One of my new favorite authors I discovered this year was David Nicholls – I read three of his four novels (Us, One Day, The Understudy) in the first six weeks of the year, and despite the large number of books I read in the months that followed, his stories stayed with me at year’s end. Other favorite novels were by Arthur Phillips, Jojo Moyes, Kate Morton, and Liane Moriarity. I only metaphorically rode a roller coaster this year, but the one image of an actual event that sums up my year happened during an August day trip to the beach with my friend Terry. The wind suddenly uprooted our beach umbrella and the pole shot between us at what seemed like twenty knots. Somehow, as it flew past, I raised my non-dominant left arm and caught it (without, I might add, spilling the drink in my right hand). We both started laughing hysterically. Without assistance, the umbrella would soon make its way to northern New Jersey, but for the moment I held on with all my might and we just laughed. It sums up my year because, despite the figurative occasional gale force wind that threatened to knock me down and sweep me away, I held on…and even laughed. Thanks for joining me for the ride…I look forward to seeing what we discover along the way next year.